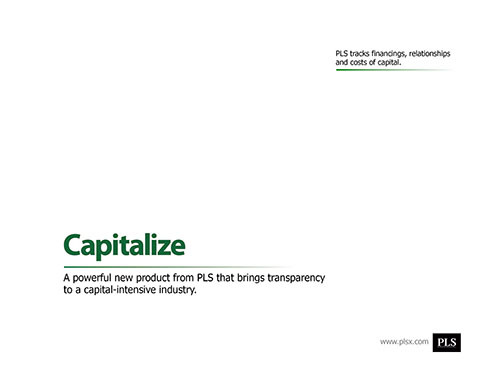 Bringing transparency to a capital-intensive industry. Capitalize gives executives a platform to create an accurate picture of banking relationships and profitability in real-time. 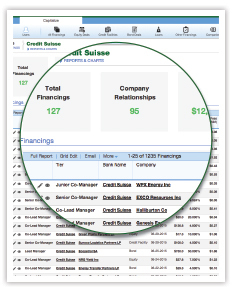 Capitalize&apos;s friendly interface allows users to develop business relationships and identify opportunities efficiently. A single comprehensive view of a company's capital structure and deal flow. Global view of a company's banking relationships and fee summaries. Deal case studies in one place with filing links, pricing, allocations, fees and more. Compare the differences in fee structure and banking relationships for a given company and product type. Identify prospects and existing relationships to determine where you need to focus your efforts. Share of wallet analytics to help you analyze market share within your coverage universe. Intelligence on lending activity to help you develop new business opportunities and client strategies. 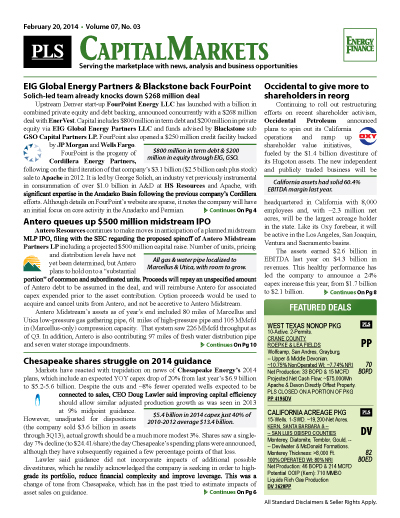 Capitalize is a comprehensive view of oil and gas debt and equity offerings. It tracks bank leads, syndicates, client relationships and associated fees. The database is essential for both bankers and borrowers needing transparency on the capital-intensive oil and gas markets. Tracking financings, relationships & associated fees. PLS' Capitalize database saves time and brings clarity and transparency to capital markets activity allowing borrowers and bankers alike to turn information into new business opportunities. A financial database for oil & gas markets. Capitalize gives executives a platform to create an accurate picture of banking relationships and profitability in real time. Data analysis that takes days and weeks to gather and perform is now available in real time with analytics in one place. 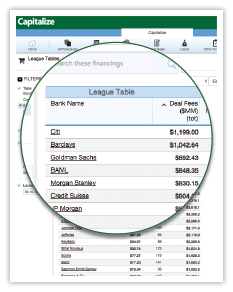 Get a complete picture of your client's needs and banking relationships. 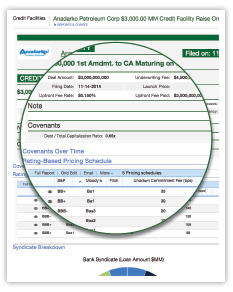 Capitalize allows you to track credit risk quickly and easily as we report negative covenant chances over time, critical in today&apos;s environment. We also include borrowing, leverage and ratings-based pricing grids that provide transparency to the applicable commitment fee/margin of a revolver/loan across the value chain. Stay on top of market trends with daily updates on the latest financings including syndications, fees, up-to-date league tables and offerings.